Description: Bruised and battered face masks. 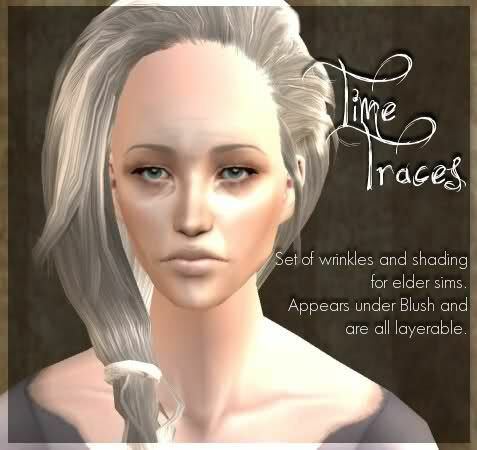 Layerable, available for teen to elder sims of both genders. Description: A set of wrinkles and shading for elder sims. 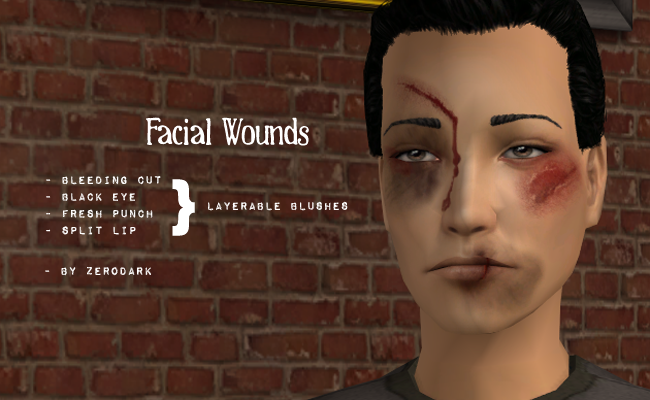 Description: Facial wounds effects: bleeding cut, split lip, fresh punch, black eye.